We have added a new gallery feature to be able to share many more gorgeous photos with you. Peruse the galleries for Wedding inspiration in the shape of Styled Shoots and Real Weddings from de Winton Paper co couples. You will be able to read more about the suppliers that created these gorgeous images and the venues we shot at right here in the blog. Or you can always get in touch with me if you have seen something you love and want to know more! 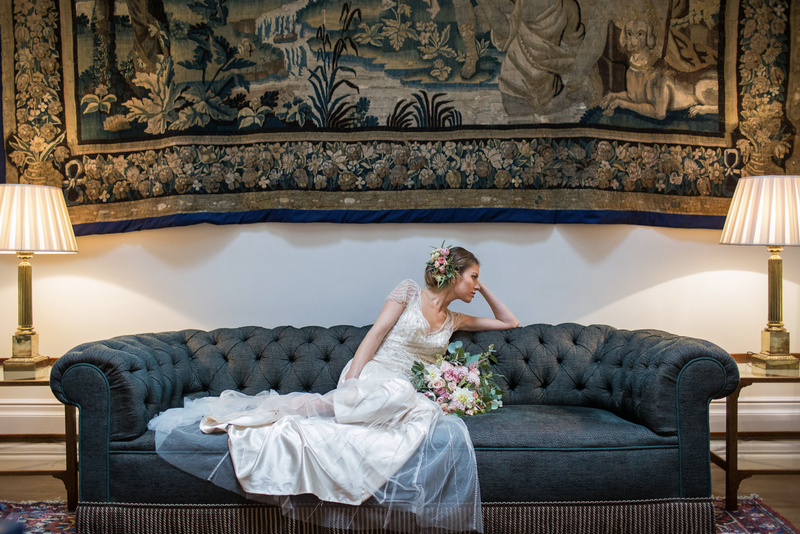 To launch this new gallery feature I want to tell you about a beautiful shoot I was thrilled to be involved with at Hillersdon House. 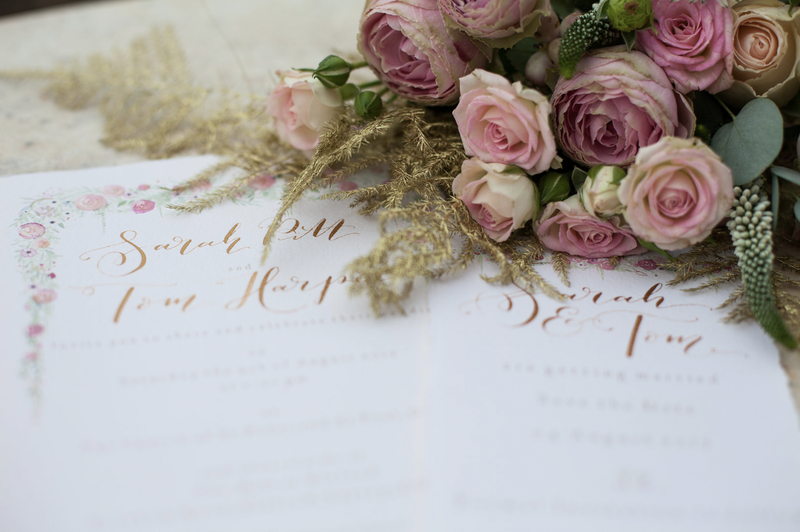 The shoot was organised and styled by Blue Fizz Events and shot by Frances Carlisle.We were given the brief of blush & gold and ‘True Romance’. This was a wonderful opportunity to combine rustic raw edged papers and hand written metallic gold calligraphy. Hillersdon House is a truly magnificent stately home amidst the rustic rolling hills of Devon. With vast grounds, follies, lakes and a deer park it is is the perfect backdrop for any wedding story. For more images go to our Gallery. STATIONARY De Winton Paper Co.